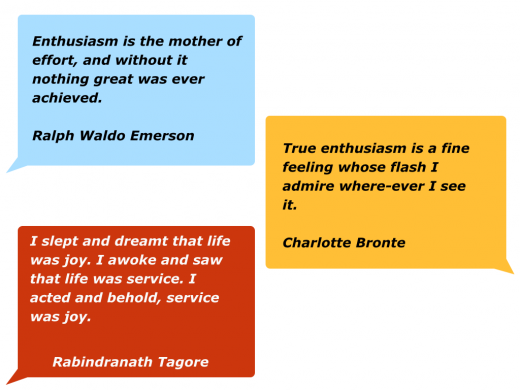 What have you been enthusiastic about in the past? What has set your soul on fire? You may have loved travelling to watch music gigs, fixing car engines, going dancing, studying maps, solving particular problems, testing yourself when tackling certain challenges or whatever. 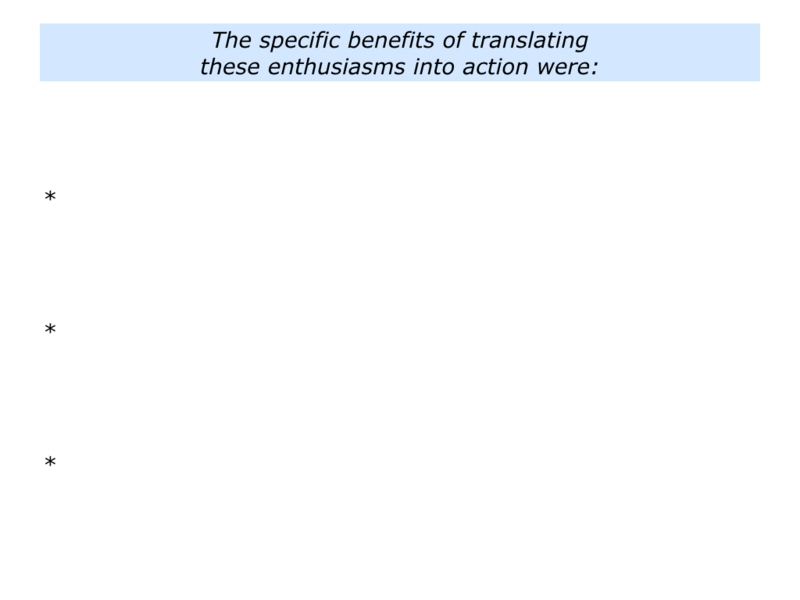 What knowledge did you gain from translating the enthusiasm into action? 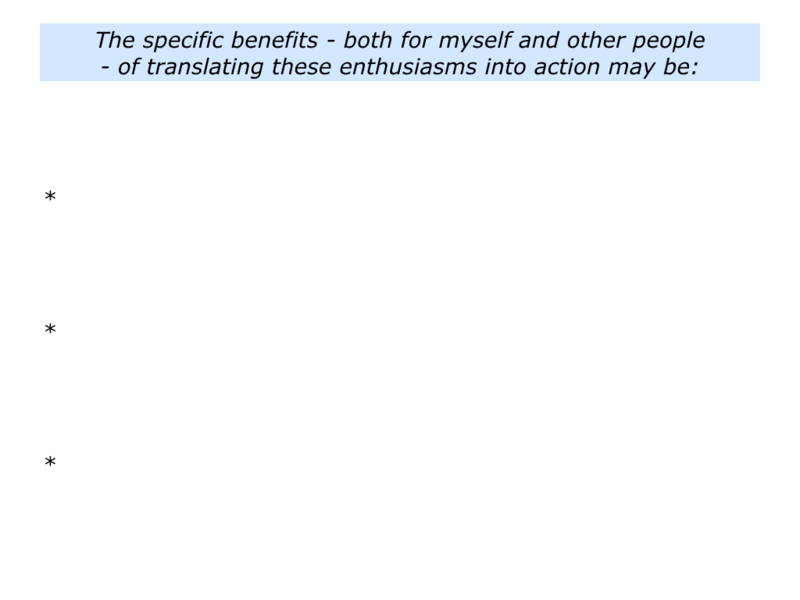 What skills did you develop when pursuing this passion? You may have learned how to gather information, navigate your way through new territory, make decisions, become more savvy or whatever. 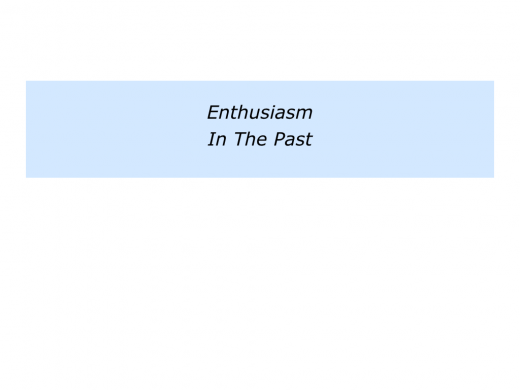 Describe the specific things you have been enthusiastic about in the past. Describe the specific things you did to translate these enthusiasms into action. 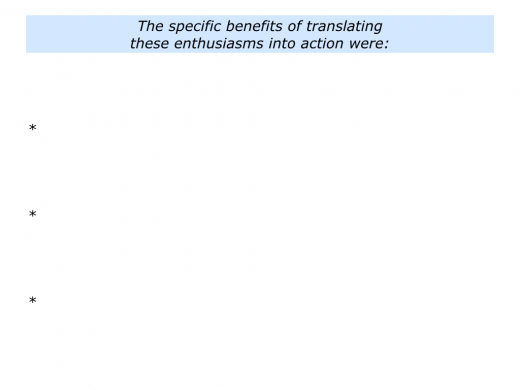 Describe the specific benefits of translating these into action. 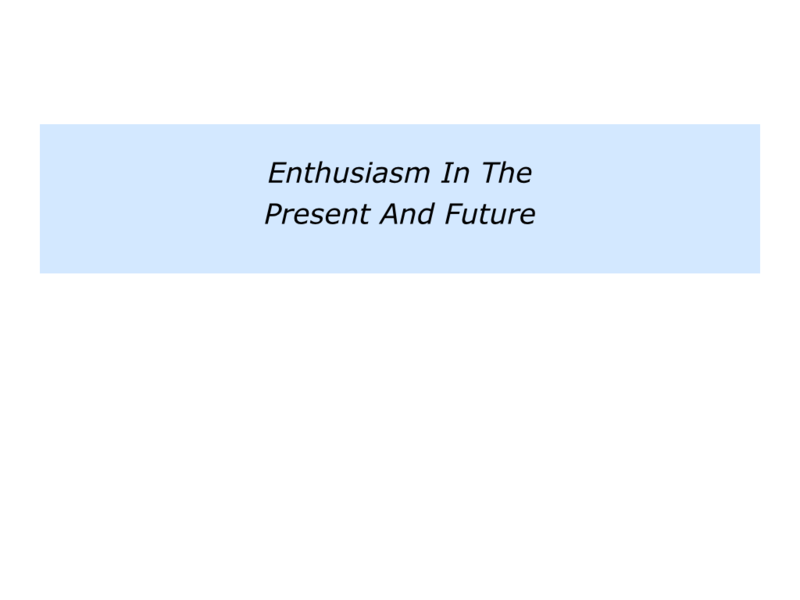 Today many educational programmes are helping young people to channel their enthusiasm. They are encouraging them to do projects they find relevant and rewarding. Tackling such projects also enables the students to develop their resilience and produce concrete results. Some schools are including such projects to help young people develop what are now called 21st Century Skills. These are Critical Thinking, Creativity, Collaboration and Communication. The Expeditionary Learning approach is one such venture that taps into young people’s positive energy. Here is an introduction to its work. You can discover more via the following link. Looking at your own life and work, what are the things you are enthusiastic about at the moment? 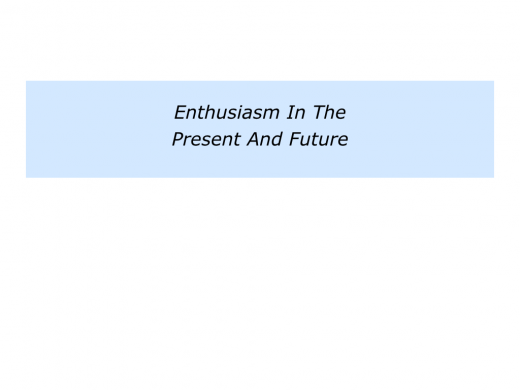 Looking ahead, what might capture your enthusiasm in the future? Many people engage in long-standing or new pursuits as they get older. They return to playing the guitar, singing in a choir, acting on stage, nurturing their garden, exploring new countries or whatever. Some choose to pass on their knowledge. They act as trusted advisors, become mentors, create websites that help other people or pursue other activities. They want to plant seeds of hope that encourage both present and future generations. You will, of course, do this in your own way. If you wish, try tackling the exercise on this theme. This invites you to do the following things. Describe the specific things you are enthusiastic about at the present or may become enthusiastic about in the future. 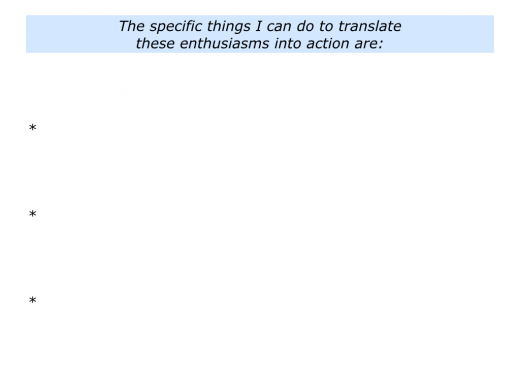 Describe the specific things you can do to translate these enthusiasms into action. 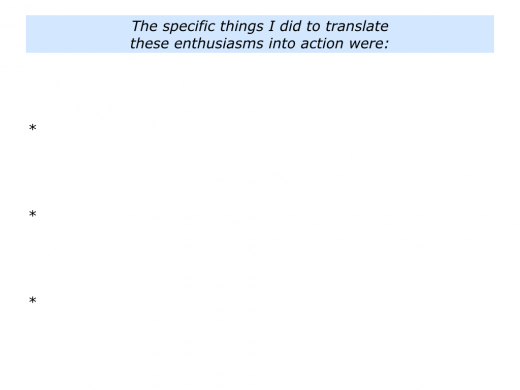 Describe the specific benefits – both for you and other people – of translating these into action.